I am a true Buddhist but I am still amazed at the amount of money people are investing on pilgrimage to Bodhgaya and other holy places across India. At this time if you are in Phuntsholing you will see how our people are struggling, sweating, arguing, fighting and what not to get a ticket to Bodhgaya. Buddha sure attained his enlightenment there but he didn't promise enlightenment for us by coming there, rather he left behind the road map to enlightenment and that didn't have any place in particular. There are several double-decked buses leaving for Bodhgaya each day and I see them all cramped up with dedicated Bhutanese people. 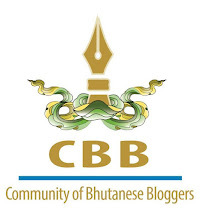 Each Bhutanese will be at least carrying over Nu. 50,000 excluding the massive shopping they did. They are on their way to find Buddha and may land up being robbed or murdered but their faith keep them going, not knowing the impact on our economy. Pilgrimage is supposed to bring about peace of mind but half of the time you have to spend on taking care of your luggage and worrying about it. Each day of your Buddha-finding journey has to be spent sleeplessly worrying about your belongings and the huge amount of money you are carrying.Rest of the time you are either complaining about the heat and dust or cursing the huge number of beggars coming after you. At the end of journey you are bound to be disappointed that you didn't find any salvation but lost all you compassion. Bhutan has the holiest Buddhist pilgrimage site and I wonder why Bhutanese are so much after the risky voyage. Is it about the status? Then it's very unBuddhist. If it's not about showing off then Paro Tasktshang, Bumthang Kurjey, Paro Kichu, Haa Lhakhang Karpo, and so many others are place you could find perfect peace of mind without having to worry about accidents, pick pocketing, murder and heavy expenses. After all Buddha is there where there is a good heart. As of the "Very Important Wang in Bodhgaya", a resident of Phuntsholing told me that it's an annual business strategy the Indian use to lure the Bhutanese. The "Very Important Wang in Bodhgaya this year, which is going to be the last" was announced for the last ten years and Bhutan still believe in it. Bro..well analysed..But I choose to defer wit your thoughts..The wang this time in bodhgaya which started from 31st dec to 10th jan wasnt the kind of wang that lured Bhutanese every year..its the kala chakra initiation by hhdl..and to receive such a great initiation from hh in such a profilic place in a life time is wat every buddhist aspires....that was topped wit teachings by hh on some days....though most Bhutanese dont understand tibetan in which the teaching was given, arrangements were made to simultaneously translate it in dzongkHa ,hindi,nepali, english 12 other languages by distinguished rinPoches and geshes.. Besides, just getting an audience or for that matter even a glimpse of HH the Dalai Lama is worth all those pains worries or financial losses you mentioned..after all HH is the live chenrizig living.. I feel its not about pride,its about the golden opportunity considering uncertanity of life and fact that kala chakra is not given every year or at the same place..besides there being rampant rumour that its would be the last by hh..